The year spring forgot is finally allowing some color in my garden! In those few days I haven't been working (and I've been working 5 days a week subbing!) I managed to get some tomatoes, herbs and strawberries planted. 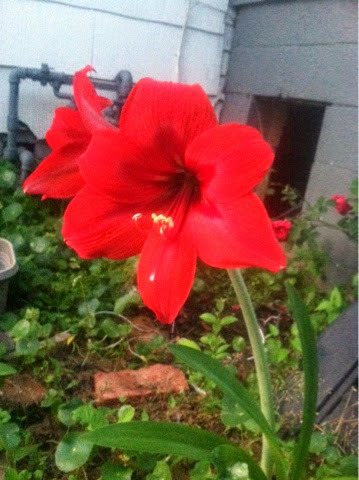 I somehow ended up with a gorgeous amaryllis on the side if my house near the gas meter. It's a little hidden treasure I get to see when I come inside through the back of the house. Danger Girl planted these knockout roses last year and two of the plants have grown quite a bit. 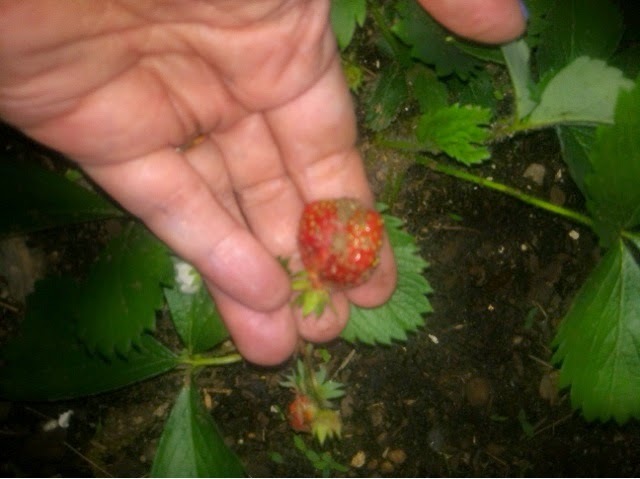 The third hasn't bloomed. Not sure what's going on with that. I'm giving it one more season to see if it blooms. I'd love some advice on these pesky roses! 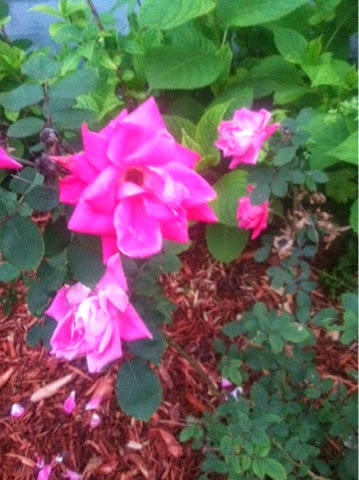 The storms that blew through this week knocked the petals off most of the roses. Danger Girl had planned to give her teachers roses for teacher appreciation... Now we need plan B. Meanwhile, I start my grad classes at the end of the month and I really can't wait! Big changes happening all around.